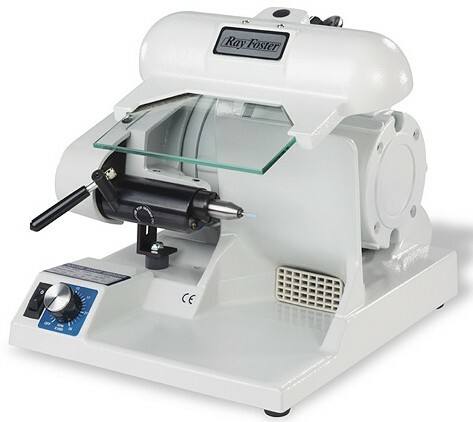 For 60 years Foster High Speed Dental Alloy Grinders have been providing precise, efficient, and reliable service worldwide. Rugged and comfortable to use, the Foster Alloy Grinder is a proven time saver when it comes to tasks like sprue separating, or finishing and polishing chrome alloy framework. All models feature a fully adjustable safety shield and light assembly, adjustable working height, and large work area for operator comfort. Each machine is equipped with a precision high-speed automatic spindle, which permits the changing of tools without stopping the motor.